Weddings have now become larger-than-life affair with couples going to great lengths to make their wedding a day to remember. 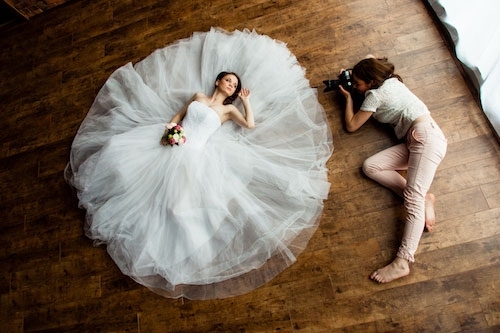 As a result, wedding photography business is booming. Good wedding photographers are much sought after and booked months in advance. No wonder more and more photographers are now asking the question - how to become a wedding photographer. Wedding photographers need out-of-the-box ideas, presence-of-mind, execution experience and an innate knack of taking wedding shots which will capture memories to last a lifetime. 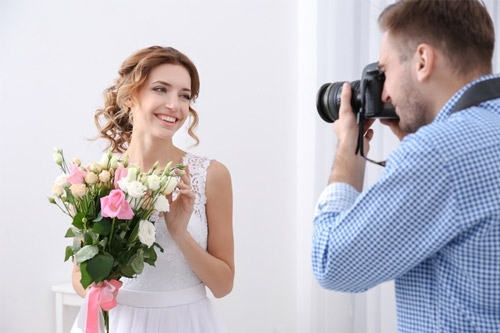 Given the importance of wedding photography, couples are investing a lot of time in choosing a wedding photographer to capture the true essence of their big day. In most cases, couples decide by reviewing several wedding photography portfolios before finalizing their choice. Having a great wedding photography website is crucial for any photographer who is looking to impress clients and get business. 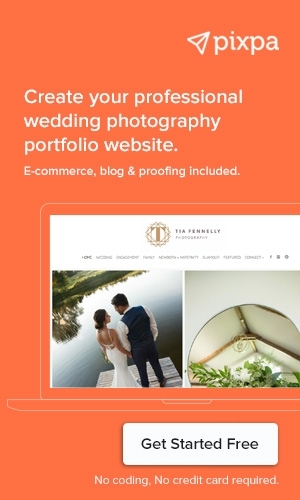 Your wedding photography portfolio website needs to go beyond just showcasing your talent and wedding portfolio. It also needs to showcase who you are as a person and how you approach your work. It's important to invest care and attention to each detail of your photography portfolio website - the images that you choose should tell a story, the website should be easy to access and navigate and most importantly, it should project the unique vision that you would bring to a wedding assignment. 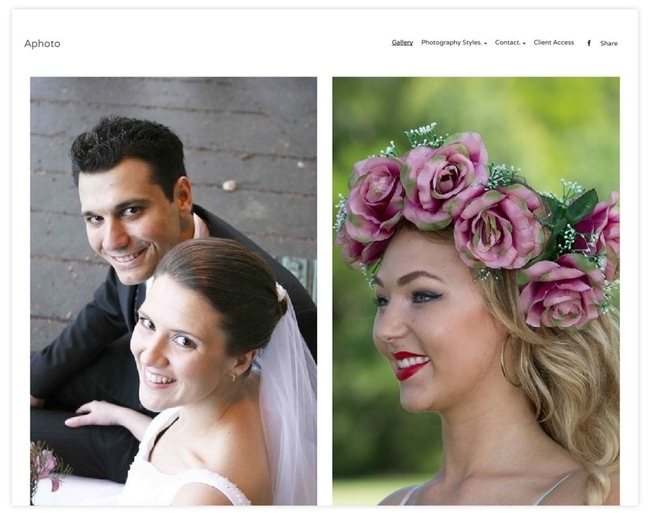 Start your free trial to create your wedding photography portfolio website in minutes on Pixpa. No credit card or coding knowledge required. 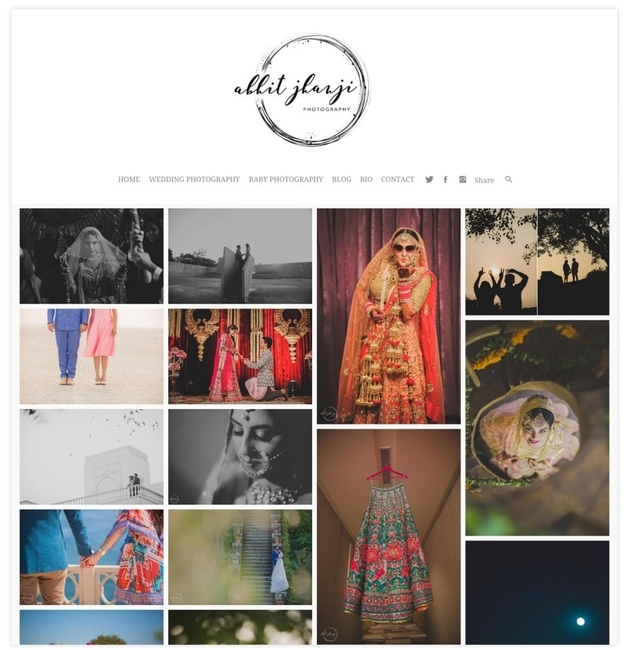 We have put together a carefully selected list of wedding photography portfolios for you to get inspiration and ideas for your wedding photography and tips on how to design your own wedding portfolio website. Nicole Davidson is a wedding photographer based in Toronto, Canada. 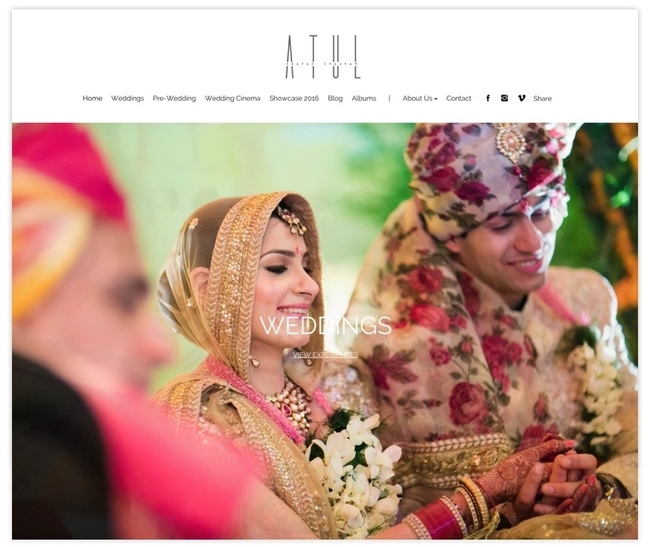 Her wedding photography website features a beautifully designed home-page that sets it a class apart. 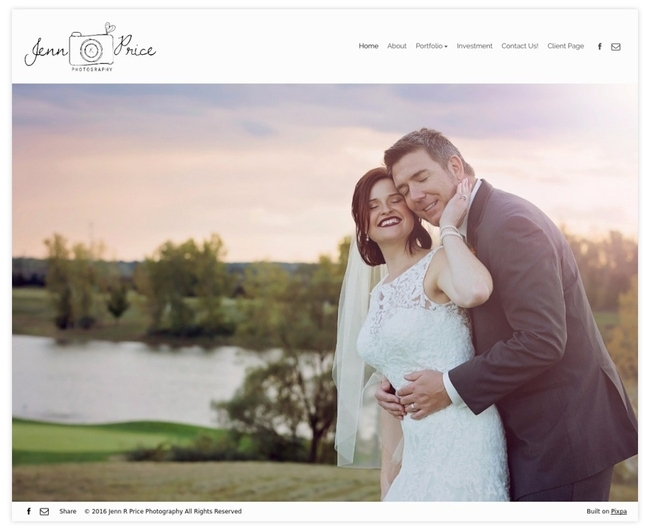 The home page sets the tone of the website by focusing on Nicole as a person and her passion for creating unique, everlasting memories through her wedding photography. 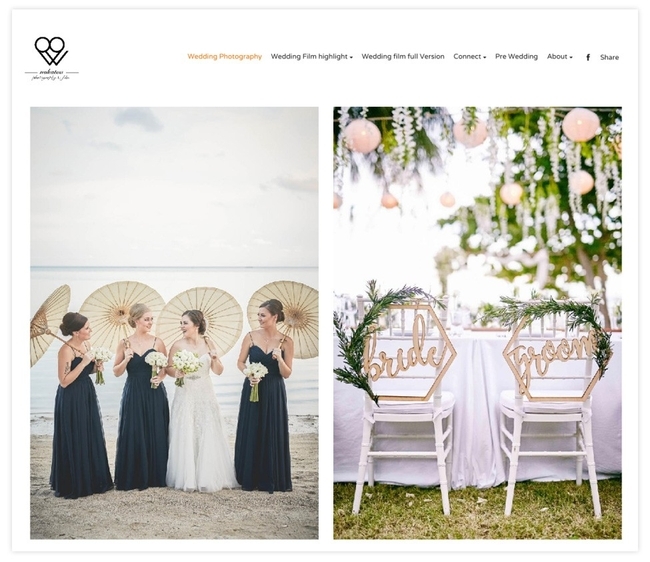 Extra points: Nicole maintains a friendly, intimate tone throughout her website - something that would appeal to potential clients looking at finding a wedding photographer who would share their vision in capturing their most special days. 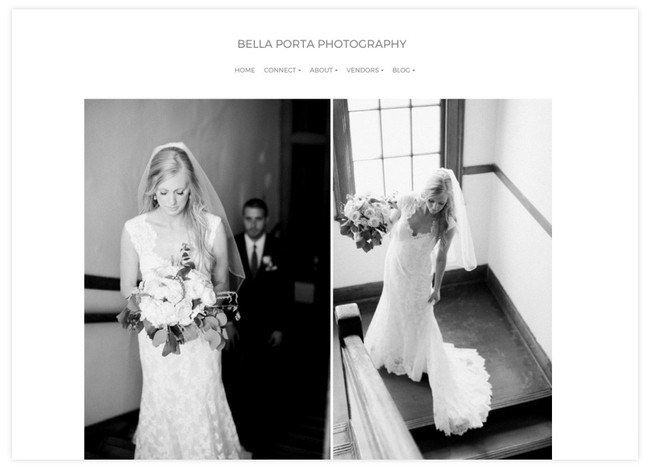 Bella Porta Photography website showcases Susan's knack for capturing intimate, warm and candid images of her subjects. Her images feel real and a have a behind-the-scenes feel to them. 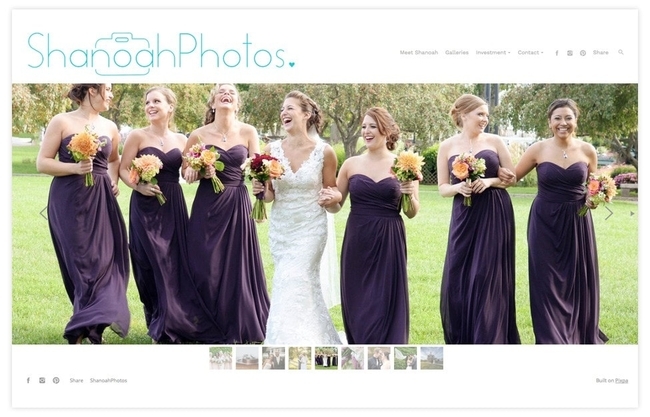 Her wedding photography website is minimal and clean with simple clear navigation. Amy Booker's wedding photography portfolio is a visual delight. With large, full-screen images and handwritten fonts for typography, her website looks fun and fresh. Amy's hand-drawn logo really stands out and adds a lot of personality and character to her website. Tia Fennelly is based East Coast Canada and describes her wedding photography style as Artistic Documentary. Tia is a natural light photographer and her images have an organic, beautiful quality that’s rare to find. Ryan Hirschberg believes in capturing beautiful details, emotions, and interactions as they happen naturally. His clean and minimalist wedding photography portfolio website presents selected wedding photo stories to showcase his work. Tip: Showcasing a complete wedding as a photo story is a great way of showcasing your wedding portfolio as it gives an idea as to how you would cover a complete wedding. Jenn Price's photography portfolio website benefits from being simple and direct. Jenn showcases her work, presents the required information, includes the wedding photography packages and tells her story through her minimal, clean portfolio website. 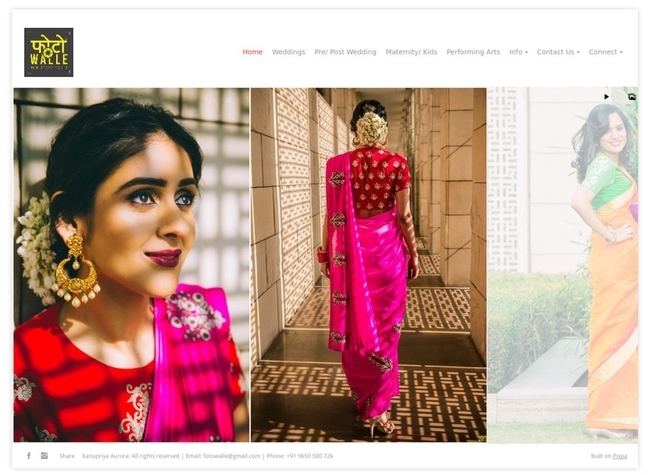 Hari Kiran uses a two-column layout and a horizontal-scroll gallery on the home page to put together a minimalist yet visually distinct wedding photography portfolio website. Extra points: Hari Kiran's own logo branding is beautiful and apt and adds character and increases the recall value of his work. 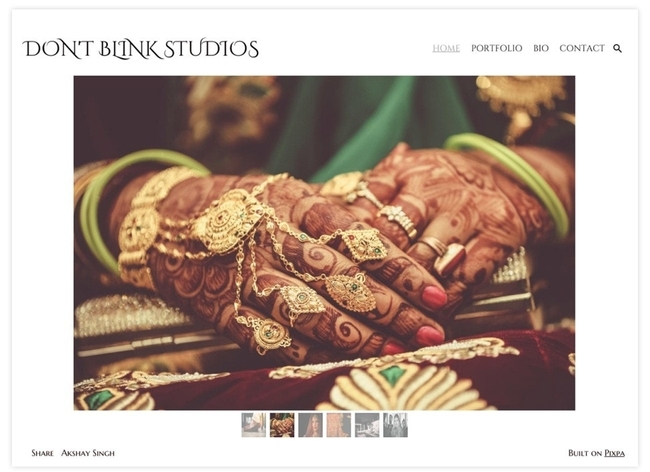 Don't Blink Studio is the photography portfolio website of Akshay Singh, a wedding photographer based in India. 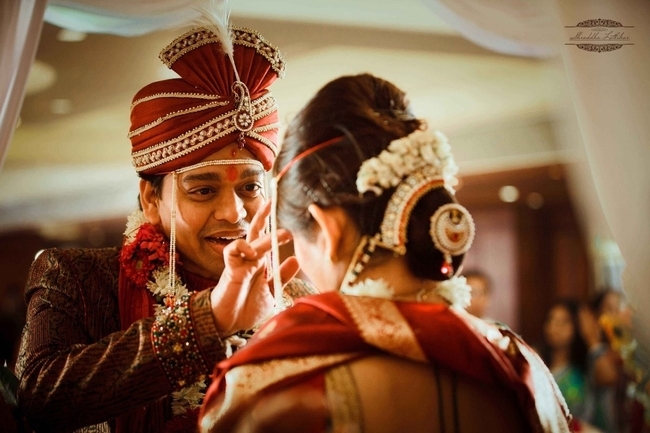 Akshay's wedding photography focuses on the details in capturing the essence of an Indian wedding. Maciej Bogusz is a photographer based in Costa Rica. His photography portfolio website showcases his range of work that has an intimate, personal feel to it. 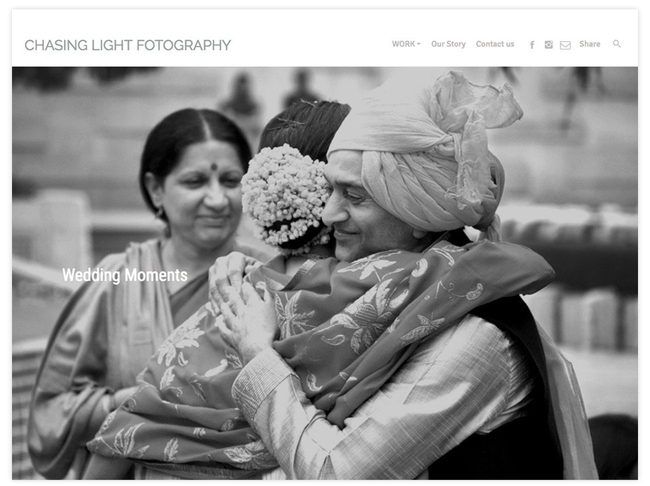 Chasing Light Fotography showcases the work of photographer duo - started Ankush Dewesar and Ekatmata. The Delhi-based husband and wife team bring a photo-journalistic style to their wedding photography work - the camera is almost not there as they capture images from their unique perspective. Jan Pirgl is a Czech photo and videographer with roots in South Bohemia, Czech Republic. 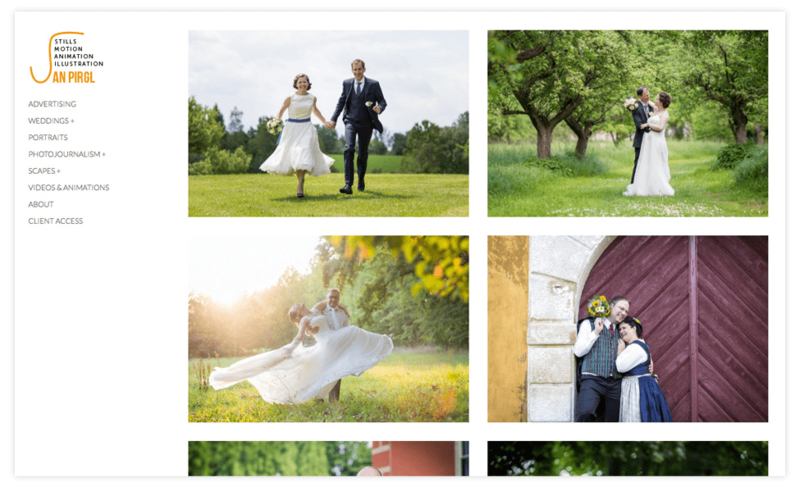 Jan presents his wedding photography portfolio beautifully in his photography website by showcasing featured weddings as photo stories. Jan also shares his philosophy on wedding photography, answers FAQs and makes his wedding pricing packages readily available through his website. Indian weddings are vibrant at every moment throughout the occasion. Guests and kids are seen prancing all over the wedding venue, this essence of Indian weddings is visibly clear in Kanupriya Aurora’s, an Indian wedding photographer, photographs on her wedding photography portfolio. 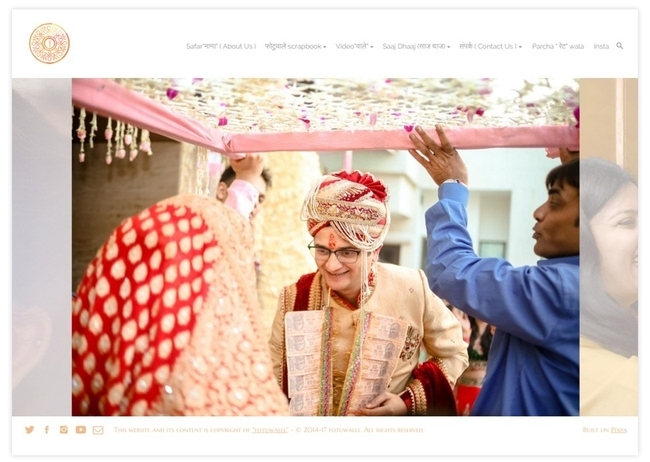 Extra points: The yellow hue in Fotowalle’s logo pops out against the white background of its wedding photography portfolio that effortlessly brings forth the inherent vibrancy of lush Indian weddings. 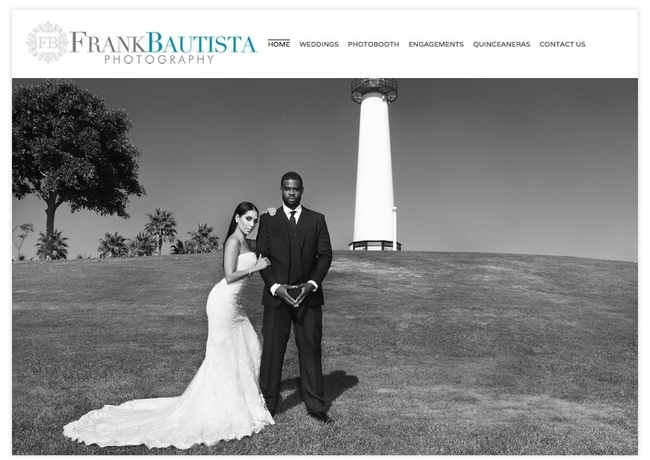 Frank Bautista is a California-based wedding photographer. His save-the-date and engagement pictures look straight out of a fashion magazine giving hints of his knack for editorial photography. Extra points: Frank’s wedding photography portfolio has a dedicated blog that he uses to promote his business. Started in 2014 by fellow photographers turned friends, Geet and Dhruv, Fotu Walle brings a uniquely Indian aesthetic and style to all their photography work. Their work comes off as an insider's job with behind-the-scenes images that capture the small quirks and details of the great Indian wedding. 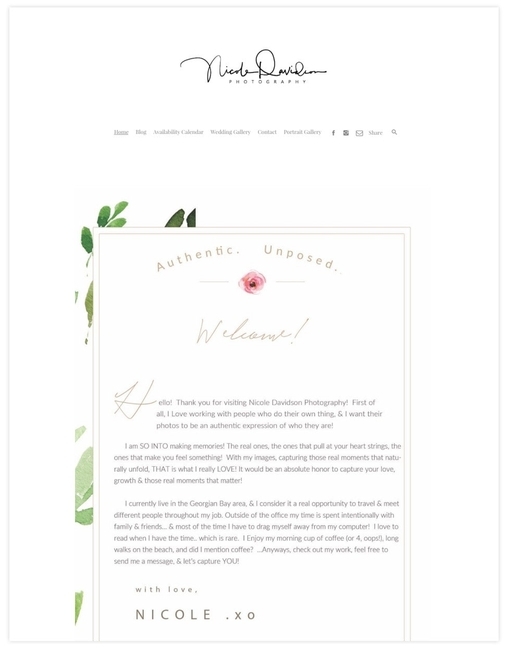 Brianna Marie's photography style is personal and intimate and her photography portfolio website reflects that beautifully with its pastel, subdued hues and a friendly, informal vibe. 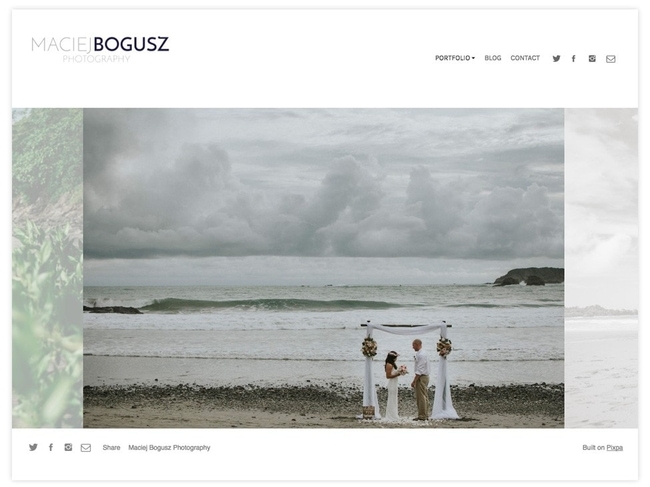 Papaya Wedding is the wedding photography portfolio of Maciej Bogusz. 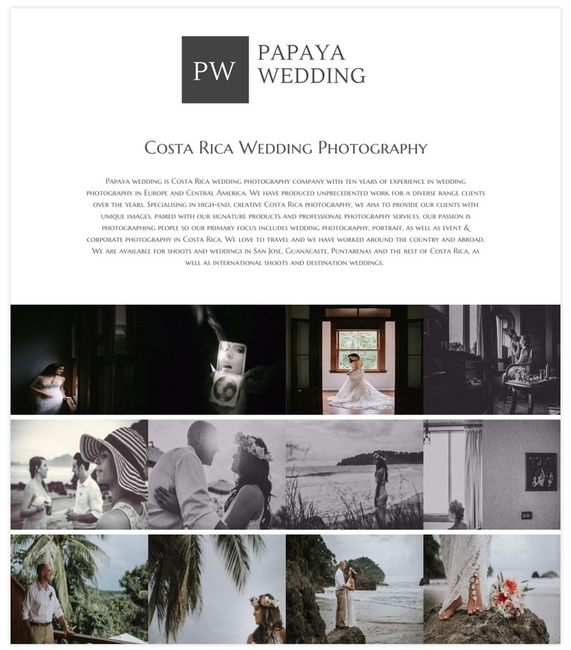 Originally from Poland, Maciej has made Costa Rica his second home and his wedding photography work reflects the Costa Rican culture and vibe. Allan Gallaugher's photography website showcases his portfolio through a neatly structured website that uses large-format grids to showcase his work beautifully. Nokatoa comes from a film & media family. 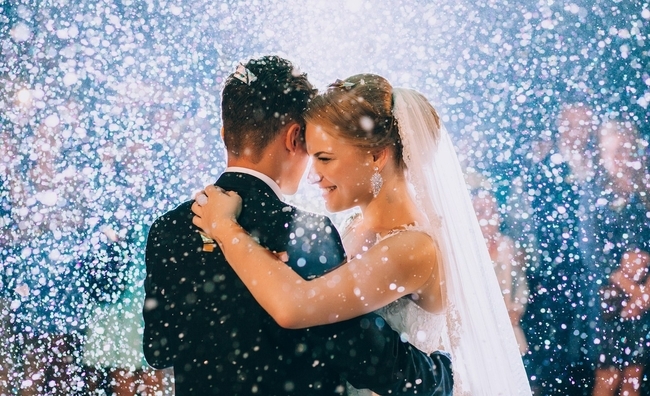 That influence has made her focus on Wedding Cinematography along with photography, capturing and creating the magic of weddings through both images and video. Shanoah graduated in 2008 with an Associate of Arts degree in Professional Photography and has since been following her passion for photography. 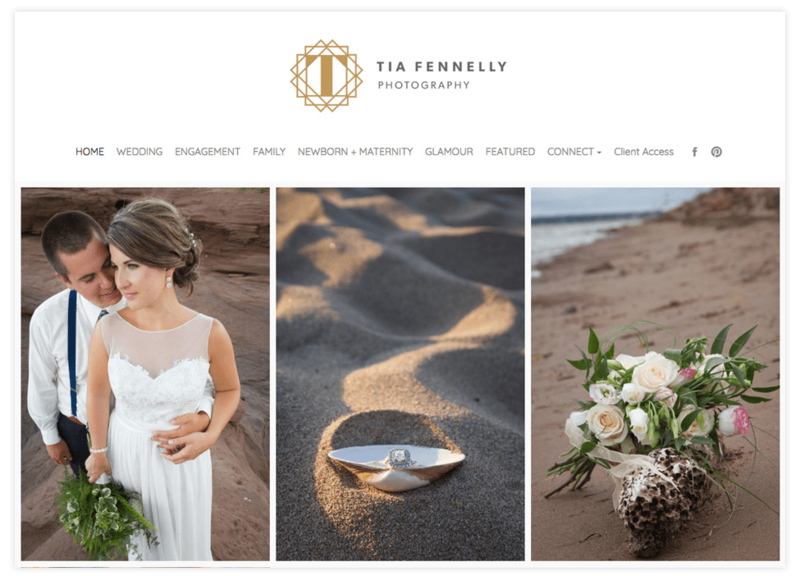 Her portfolio website showcases her photography portfolio beautifully and also provides all the information (about wedding packages, prices etc) that a potential client would need. Conde Nast Traveller’s ‘one of the five dream wedding photographers’, Atul Pratap Chauhan, has dabbled in food and hotel photography as an editorial photographer, but his photography skills as a wedding photographer show that he can pull off any genre of photography with just as much ease! Extra points: A vivacious Indian bride’s photograph on Atul’s wedding photography portfolio instantly captures a visitor’s attention. 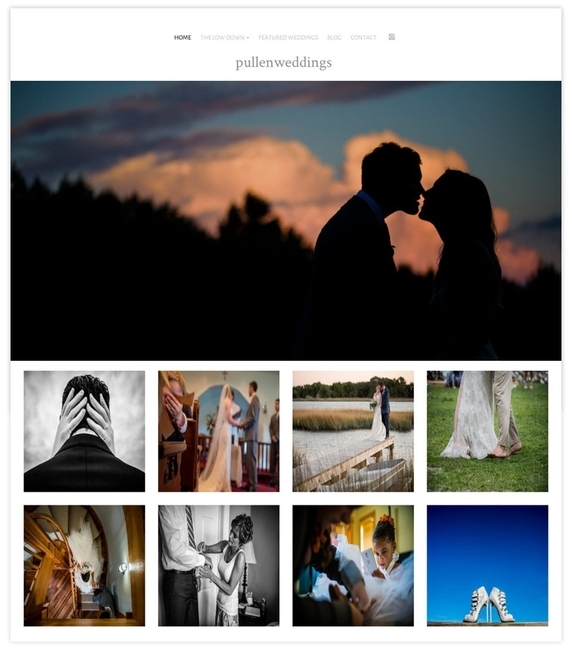 Photographer, David Pullen showcases his wedding photography portfolio through a simple and structured square grid that presents his work at a glance, while allowing users to click through to see larger images. 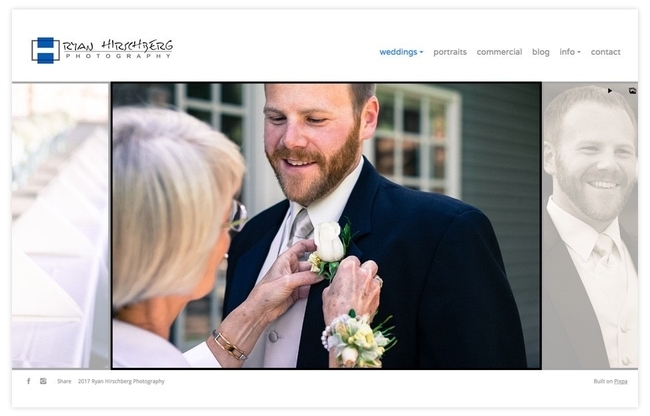 David's website also includes featured weddings, the pricing packages and a blog. One of Vogue’s top picks for wedding photography in India and Conde Nast Traveller’s dream wedding photographer, Photo Tantra is managed by Vinayak Das & Snigdha Sheel. This husband-wife duo photographer is also the proud wedding photographer of Kunal Nayyar (of the Big Bang Theory fame) and his now wife Neha Singh. As told by them their wedding photographs carry a mix of photojournalistic and glamour photography style. 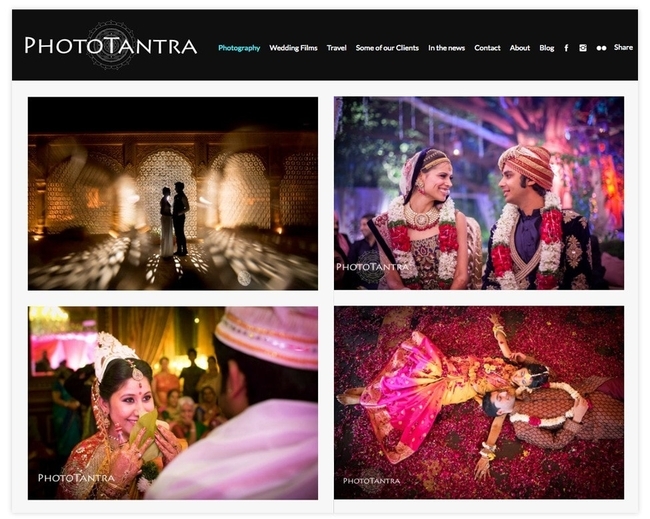 Extra points: The homepage of Photo Tantra’s wedding photography portfolio looks like a wedding magazine with its high-resolution pictures compelling visitors on the website to scroll down to the end. The story of Photo Tantra’s beginning in the ‘about me’ section of the portfolio is lyrical builds a connection with a visitor almost instantly! 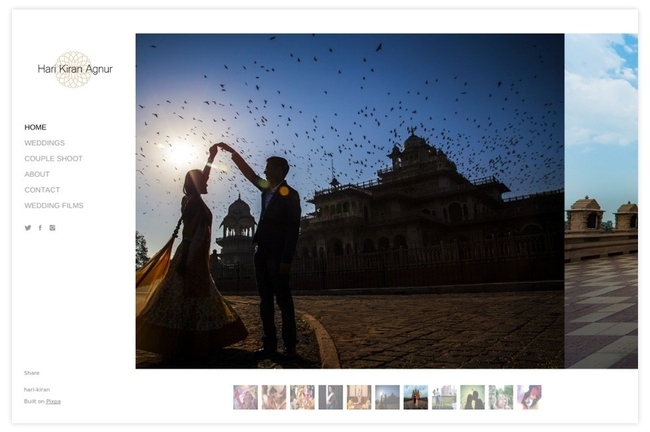 Ashish is a wedding photographer based in New Delhi, India. 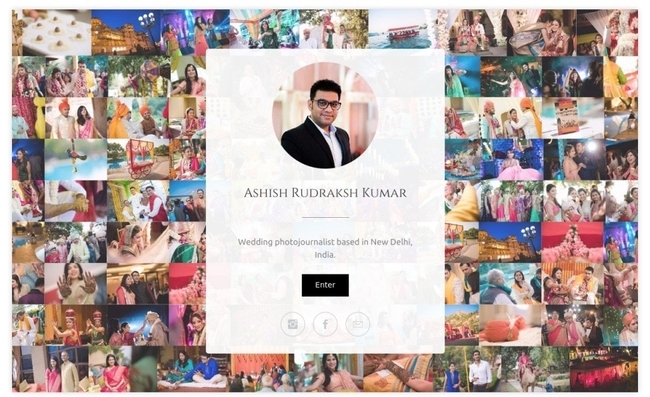 His website features a striking landing page as the home which features an intricate grid of multiple wedding images that Ashish has shot. This looks great visually and sets the tone for the rest of his portfolio website. Photographer, Abhit Jhanji is based in New Delhi, India. Abhit's portfolio website uses a dynamic and vibrant grid for his homepage, mixing and merging both black-and-white and color images to showcase his diverse portfolio. Photographer, Sanna Vihervuori is based in Espoo, Finland. She presents her photography portfolio through a dynamic grid on the home page that showcases her range and diversity of work. Visitors can click through to see the detailed, bigger images. 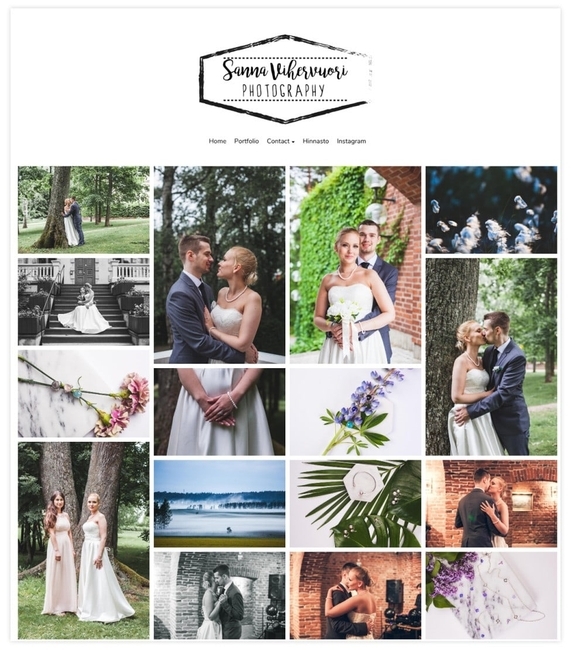 Extra points: Sanna has a detailed pricing page on her wedding photography website that clearly describes all the wedding pricing packages and the deliverables and scope of each one of them. Need more inspiration? 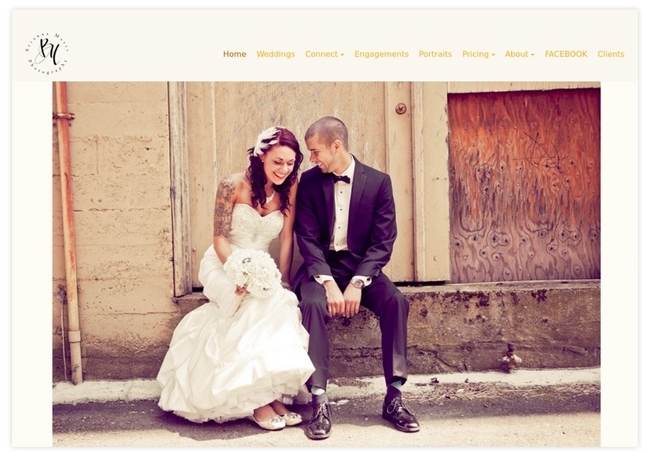 Have a look at more examples of great wedding photographer websites. 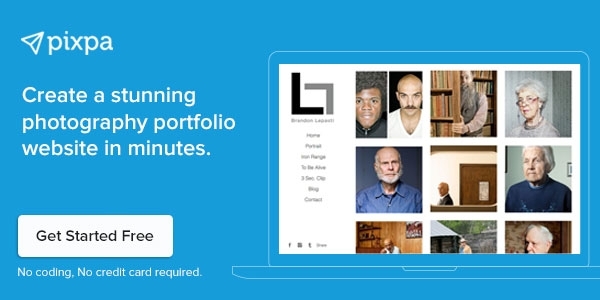 Make your own photography website on Pixpa in minutes. No credit card or coding knowledge needed.